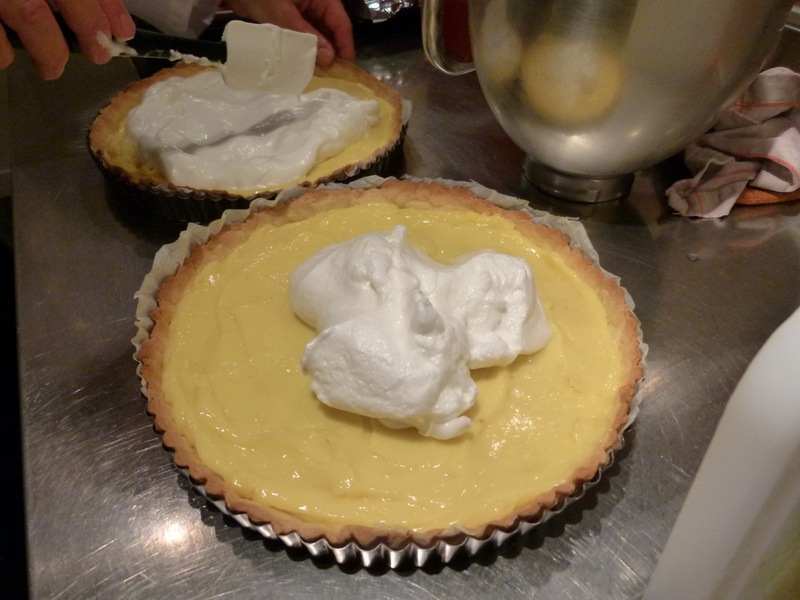 After obtaining the incredible lemon meringue pie recipe from local producer Madame Tosan we tried it out on ten guests last Friday night. The recipe was a little tricky, and instead of making lemon curd, the Mentonnais method creates more of a lemon flan. The result is surprisingly delicious, and a nice change to traditional recipes. The lemons we used from the Tosan orchard were absolutely delicious and made all the difference. As a substitute for Menton Lemons, we suggest searching for Meyer lemons, or other local non-treated lemons. Mix the egg yolks sugar and salt until it becomes white, then add water. Mix in the flour all at once, then softened butter working rapidly. Work into a ball of dough, and cover with plastic wrap. Refrigerate for one hour. 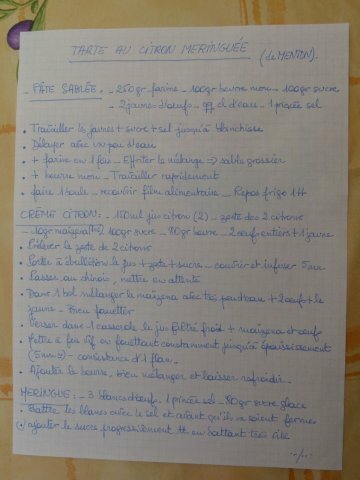 -In a médium size bowl mix thé corn starch and a bit of water, plus the 2 eggs and one yolk, whisking briskly. 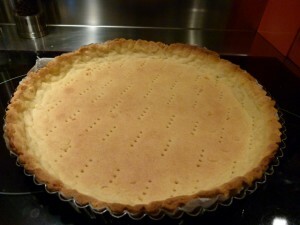 -Remove crust from oven and let cool. 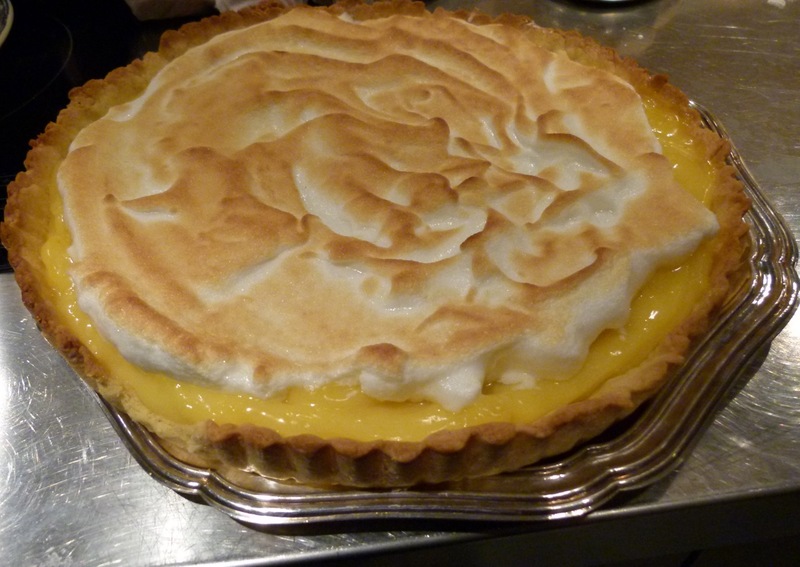 -Fill the pie crust with lemon curd and cover with the mixed egg whites. What to do with summer tomatoes?